Need a memorable gift for your girlfriend on upcoming Valentine’s Day? Take a look at the personalized film roll. It should be a nice idea. 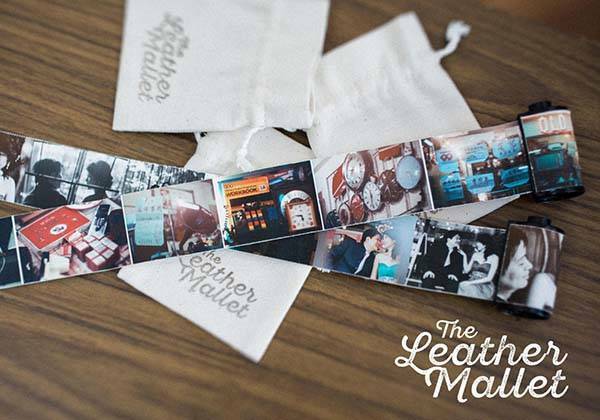 This is an innovative and customizable film roll designed by TheLeatherMallet, a handicraft studio from Singapore. 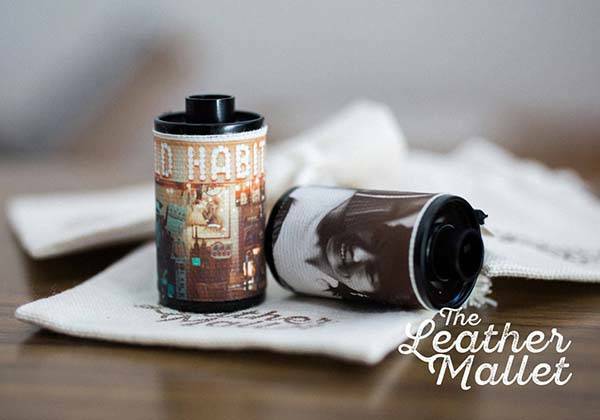 As shown in the images, the personalized creation is built with a recycled 35mm (135) film roll canister, but the original brand pattern and fill roll have been replaced by custom content, so you can ask the designer to add your own photo and text. 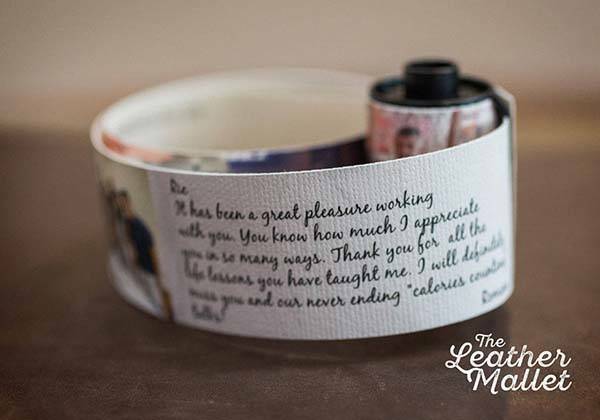 The personalized film roll features a beautifully printed, high-quality fine art canvas scroll that measures 15 inches (40cm) long and 1.5 inches (3.5cm) wide in order to deliver us a unique and artistic way to display some memorable segments in our life, so it should be a perfect gift for our loved ones. Moreover, the canvas scroll can be kept in the vintage fill roll when not in use, so you can easily store it or display it in your showcase. In addition, you can also ask them for adding a magnet into the film roll so that it serves as a photo film fridge magnet. The personalized film roll is priced at $48 USD (extra $12 for adding magnet). If you’re interested, jump to Etsy for its more details.